Greg Ogrinc is a general internist working at the White River Junction VA Hospital in White River Junction, VT. He is the Associate Chief of Staff for Education and has served as the Senior Scholar for the White River Junction VA Quality Scholars Program. At the Geisel School of Medicine at Dartmouth, he is currently the Senior Associate Dean for Medical Education. Dr. Ogrinc graduated from Case Western Reserve University School of Medicine in 1997 and completed his residency in internal medicine at MetroHealth Medical Center in Cleveland in 2000. In June 2002, he completed a two-year fellowship in the VA National Quality Scholars Program at the White River Junction Veterans Hospital. 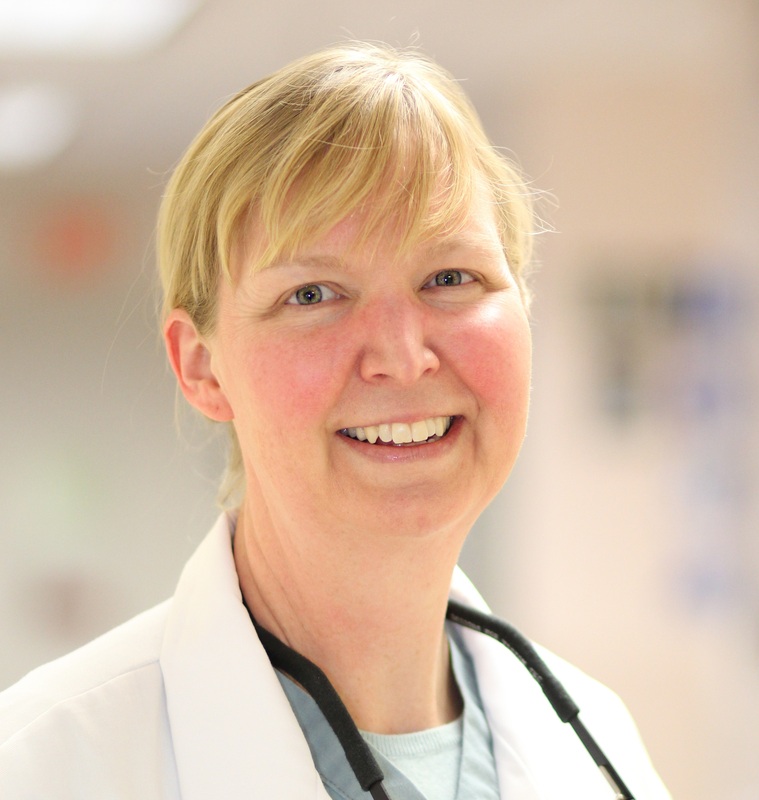 Louise Davies, MD,MS, is a researcher and surgeon at the VA in White River Junction, Vermont. She is an associate professor of otolaryngology – head &neck surgery at Dartmouth’s Geisel School of Medicine and in The Dartmouth Institute for Health Policy & Clinical Practice. She splits her time between patient care and research/teaching, and is the co-director of the National VA Quality Scholars Program White River Junction site. Dr. Davies comes to healthcare improvement from a health services research background, bringing expertise in both qualitative and quantitative methods. Through the development and dissemination of the SQUIRE Guidelines, she is focused on promoting rigor and reflexiveness in improvement work, while taking back to the health services research world the techniques and philosophical approaches that can make health services research more actionable. Dr. Davies received her medical degree from the University of Washington, Seattle Washington. She completed residency at The University of Vermont/Dartmouth Hitchcock Medical Center coordinated residency program. After residency, she completed the Robert Wood Johnson Clinical Scholars Program at the University of Washington, receiving a Masters of Science in Public Health. Prior to entering medicine, Dr. Davies was a physical therapist, working primarily in an inpatient rehabilitation setting with patients who had spinal cord injuries, burns, brain injuries, and amputations. Professor Emeritus of Pediatrics, Community and Family Medicine and the Dartmouth Institute for Health Policy and Clinical Practice at The Geisel School of Medicine at Dartmouth College and Guest Professor of Quality Improvement and Leadership at Jönköping University in Sweden. He is an active member of the Dartmouth/Karolinska/Cincinnati Children’s Hospital and Medical Center design team for the new Cystic Fibrosis care model; the Hennepin County Medical Center Congestive Heart Failure Services Improvement team; the RWJF sponsored international comparison of social support for chronic illness and Co-director of the CHA-Gold Innovation Fellowship program at Cambridge Health Alliance, Boston, MA. He teaches about the leadership of improvement of health care quality, safety and value at Dartmouth, the Institute for Healthcare Improvement and the Jönköping Academy for the Improvement of Health and Welfare in Sweden. He chairs the Improvement Science Development Group of The Health Foundation in London and the Leadership Preventive Medicine Residency Advisory Committee at Dartmouth. He is a member of the Board of Advisors, Armstrong Institute for Patient Safety and Quality, Johns Hopkins Medicine; the National Advisory Board, Active Aging Research Center, University of Wisconsin; External Advisory Council, and the Anderson Center, Cincinnati Children’s Hospital and Medical Center. Previously he founded, created or helped develop the IHI, the U.S. VA National Quality Scholars program, the IHI Health Professions Educational Collaborative, the General Competencies of the Accreditation Council for Graduate Medical Education, the Center for Leadership and Improvement at Dartmouth, the Dartmouth Hitchcock Leadership Preventive Medicine Residency, the annual Health Professional Educator’s Summer Symposium (aka “Summer Camp”) at Dartmouth, the SQUIRE publication guidelines for the improvement of healthcare service, the Improvement Science Fellowship Program of The Health Foundation in the UK and the Vinnvård Improvement Science Fellowships in Sweden. He is a member of the Minnesota Academy of Medicine and the Institute of Medicine of the U.S. National Academy of Sciences. He is currently interested in the multiple knowledge systems and disciplines that inform the improvement of the value of the contribution that healthcare services make to health and the capabilities required for the co-production of good healthcare service. Daisy Goodman has been a in practice as a provider of maternity and women’s primary health care for the past 12 years in a variety of settings, including a federally qualified rural health center, community hospitals, and now at Dartmouth Hitchcock Medical Center. Dr. Goodman earned her doctorate in nursing practice from the MGH Institute for Health Professions in 2009. In 2014, she completed a three year fellowship with the VA National Quality Scholars Program. She is actively involved in improvement work in her clinical practice, with a focus on interprofessional models of care delivery, and the use of qualitative and mixed methods approaches to program evaluation. David P. Stevens is Adjunct Professor, The Dartmouth Institute for Health Policy and Clinical Practice, Lebanon, NH, Editor Emeritus, BMJ-Quality and Safety, London, and Senior Fellow, Institute for Healthcare Improvement, Cambridge, MA. He was Editor-in-Chief of Quality and Safety in Healthcare from 2005-2010. Previously, he was the Scott R. Inkley Professor of General Internal Medicine and Vice Dean for Academic Affairs at Case Western Reserve School of Medicine, Cleveland, OH. He has served in Washington, DC, as health policy advisor to the Chair, US Senate Labor Committee; Chief Academic Affiliations Officer, Department of Veterans Affairs; and Vice President for Healthcare Improvement for the Association of American Medical Colleges. He is author of over 100 peer-reviewed scholarly publications.